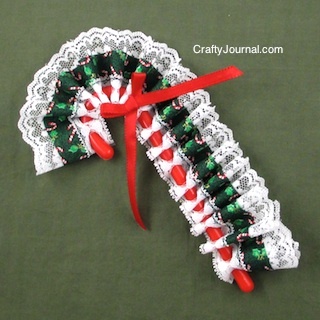 Lacy Candy Canes make a lovely, elegant holiday decoration. They can be made with plastic candy canes as I’ve done here, or you can use real candy canes. Unfortunately, thought they’re very pretty, you can’t keep real candy canes as they melt and become sticky over time, but the plastic ones can be kept to use again. How to Make Lacy Candy Canes. 1. Cut ribbon to 24 inches (or 2 feet) long. 2. Fold one end of the ribbon to the back so the first and second holes overlap. 3. Start threading the bottom end of the candy cane through the holes, going through the double holes first. Then work the cane in and out of the holes to the end of the ribbon. Fold the end of the ribbon to the back overlapping the last 2 holes, before pushing the candy cane through them. 4. Use a bit of hot glue on the back of the cane at each end to keep the ribbon from sliding off. 5. 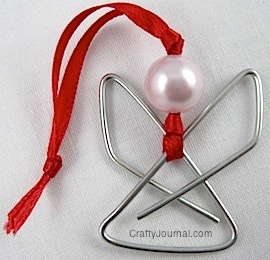 Attach a bow or other embellishment an inch or 2 down from the top of the lacy candy cane, using hot glue or wire. I usually feel simple is best, and therefore just use a small bow for a finishing touch. But you can find or make much more ornate embellishments for this. Tie a piece of fishing line at the top of the finished candy cane to hang. 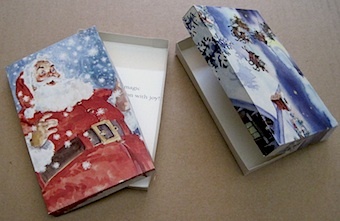 Or use as a package decoration. These are so CUTE! I will have to make this this Christmas! So gorgeous. The deep red one would look stunning against the green of a Christmas tree. Thank you for linking at the In and Out of the Kitchen Link Party. Hope to see you again next week. What a fun project! Pinned. Please join us tonight at 7 pm and party with us. We would love to have you! Aww, these are adorable and will be perfect come Christmas! Thanks so much for linking up at Link It or Lump It! Where can I find this ribbon? I found my lace in a fabric store a couple of years ago, but you could also look in the fabric department of a craft store. Or try googling lace ribbon. If you can’t find lace like this, consider getting wider lace and cutting it to be narrower – making sure the holes for the candy cane are near one edge of the lace. Or perhaps you could use lace fabric, cut into strips, and punch holes along one edge. Where can you get the candy canes? I’ve tried looking everywhere and can’t seem to find them! I actually did this tutorial a few years ago, so plastic candy canes may be harder to find. I googled “plastic candy canes” and came up with several places that sell them on line. And in the past I have seen them at Dollar Tree.